does the LS2 work like a A/B/Y Selector? with knobs to control the volume of each Line? Sweeet if it is.. i need one! The Whirlwind is not too expensive as well! currently i find myself looking at a peavey for my practice amp. i'm not too impressed with the gain channel of the fender hotrod or blues deville. but i heard good things about the fender deluxe..
then again my vox doesn't have a gain channel, i use overdrive pedals mostly.. but then again it would be great to have a gain channel and peavey does theirs really well..
yep. you can try a classic 30 and mod it if you want more gain. i have lots of info for modding it. its actually what i had in mind but thhe prowler blew it away. thanks to magnus olsson i was initroduced to it. i'll post it for ya! 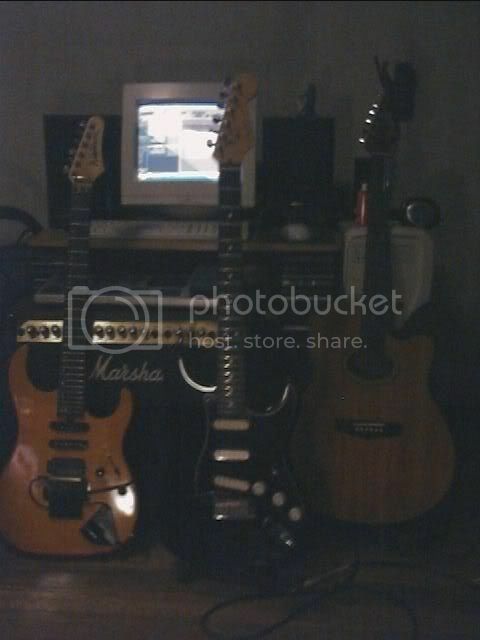 anyway the guitars are (from left) washburn mercury 2 series, w/ seymour duncan pickups, fender strat w/ gold lace sensors and my fender montara acoustic. these is my rig. 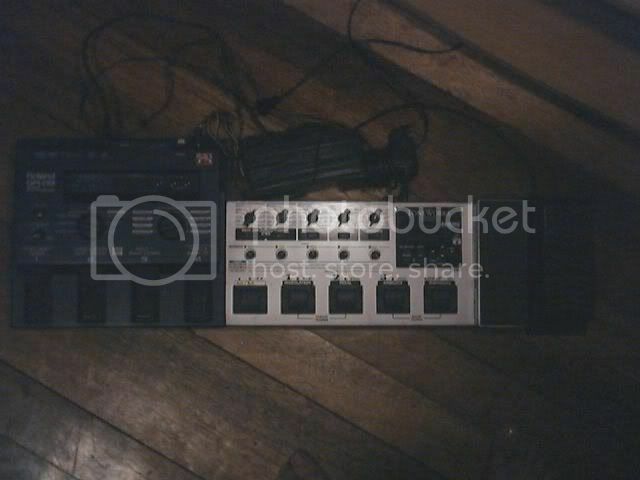 roland gr09 guitar synthesizer, toneworks ax15006 ung am pl sa 1st pic marshall 8080. 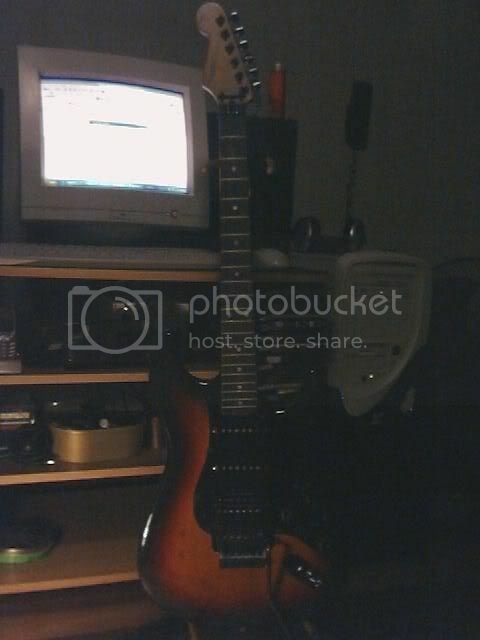 Nice guitar, shame about the FR2. If you plan to replace it with an OFR, you'll need to route the body a bit (based on what I've read online). Mas maliit yata yung base ng FR2 compared sa OFR. EI brandey anong exact model ng washburn mo? parehas kasi tau... i dont know the model tlga... alam ko lang mercury 2 sha. thanks.. color red sakin eh. anong sd pickups nilagay mo? ganun din b ung OFR. kase b4 bumili ako ng imitation lng na FR hindi kasya dun sa strat, naka usli ung mga allen skrews kaya linagay ko nalang sa washburn ko. nasira ko rin kase ung stock bridge nun sayang gold pa naman. masyado ata acidic kamay ko . Pati nga ung sa american standard ko hindi ko na maikot ung ibang skrews para sa saddle height. buti nlng sakto na lahat. .... for now??!? ahh hirap hanapin sa internet ung mercury 2 no??? ok ung humbucker sa neck ah... how much un??? ang ingay kc pag single pag nakadrive.. alam ko may model un eh kunwari mg340.. ung mga gnon. Pre ask ko lng mgkano bili mo sa trembucker bridge? Sa Audiophile lng meron nyan right? Thks. hey jack in a vox... you by any chance selling the fender bass? kindly text me, 0917 5211196 =) thanks man. not at the moment.. and i'm working overseas for the next few months..